Why So Few Americans Named in Panama Papers? Where are the American names? That is a question being heard more as the fallout from the Panama Papers -- a leak of more than 11.5 million documents from a Panamanian law firm that details hidden offshore accounts held by world leaders and celebrities -- continues to spread. The International Consortium of Investigative Journalists (ICIJ), in a collaborative effort by more than 300 journalists from more than 70 countries, analyzed the financial data. Released over the weekend, the ICIJ report contains details on more than 214,000 offshore entities connected to people in more than 200 countries and territories. It also named 140 international politicians, including 12 current and former political leaders, who allegedly set up offshore bank accounts to hide their assets and possibly evade taxes. Considering the leak is believed to be the largest in history, no U.S. politicians or other high-profile Americans have been identified so far. A report by the McClatchy newspaper group found scanned copies of at least 200 American passports in the leaked documents. It reported that many of the passports appeared to be from retirees using offshore companies to buy real estate in Latin America. McClatchy said it was the only U.S. newspaper company involved in the consortium. 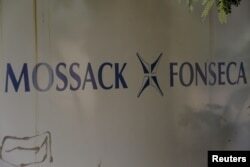 The documents, leaked from the Panamanian law firm Mossack Fonseca, also showed that 3,500 shareholders of offshore companies provided the firm with an address in the United States, but that does not mean they are American citizens, McClatchy reported. Also, almost 3,100 companies incorporated by the law firm were linked to what McClatchy called “offshore professionals” based in the U.S., including in Miami, in southern Florida, and New York. James Henry, an economist and senior adviser to the Tax Justice Network, told Fusion -- a Hispanic cable news channel that was a project partner with McClatchy -- that it is fairly easy to form shell companies in the U.S., which may be one reason so few Americans have been named in the trove of documents. Americans “really don’t need to go to Panama," Henry told Fusion. “Basically, we have an onshore haven industry in the U.S. that is as secretive as anywhere." Heather Lowe, legal counsel and director of government affairs at Global Financial Integrity, a Washington-based nonprofit, told the International Business Times, that Nevada, Wyoming and Delaware are notorious for peddling "the idea of anonymous companies and lax regulations around the creation of companies and, in some cases, taxation." Lowe told the IBT that banks and companies in those states essentially would leave it up to their clients "to determine what information they want to, or need to, file with the government." The national newspaper USA Today reported that the majority of U.S.-based companies linked to Mossack Fonseca were formed by a Nevada company called M.F. Corporate Services Limited. “If your goal is secrecy and not having prying eyes find out even the most basic things about what you’re doing and what your company is and who owns it, Wyoming and Nevada are incredibly attractive places from that secrecy perspective,” Matthew Gardner, executive director of the Institute on Taxation and Economic Policy, a research organization, told USA Today. McClatchy found the documents showed that Mossack Fonseca, in four separate cases, helped register offshore companies for Americans who have been accused or convicted by federal prosecutors of serious financial crimes. One American mentioned in the Panama Papers is author and financier Marianna Olszewski. The BBC reported that Olszewski allegedly used Mossack Fonseca to hide her name as the owner of a secret offshore account -- a direct breach of international regulations designed to stop money-laundering and tax evasion. Full VOA interview with Will Fitzgibbon, a reporter with ICIJ, on the "Panama Papers"
As time goes by, more American names will likely be revealed. The documents were just released publicly a few days ago, meaning major news outlets have only just begun to dig through the massive amounts of data. "So maybe there are revelations about specific Americans and secret funds that we haven't heard about," Gardner told NBC News. The 200 U.S. passports identified so far are just a slice of the available data. "It's a complete underestimate,” Mar Cabra, head of ICIJ's data and research unit, told Fusion. An editor with Süddeutsche Zeitung, the German newspaper that has been leading the investigation of the records, tweeted Monday to "just wait" until more were released, according to IBT. In 2014, a Senate subcommittee estimated that U.S. companies using overseas tax havens was costing the country about $150 billion in lost tax revenue.